There are many ecommerce sites being published online every minute. 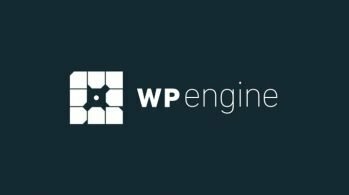 Ranging from the small in-house company to the giant company, all of them are trying to compete and sell their product through their website. Though, not every single one of them displays the products as excellently as others. In the clothing and fashion industry, beautiful design is their goal. The appearance of the product and overall website is their target to achieve customer interest. With wonderful website design and easy to use navigation, the customer will be happy to explore the clothing collections. Therefore, it will increase the chance of the customer buying the product. Although most clothing or fashion website designs are unattractive, there are still some creative web designs left for this industry. In this post, you will find 30 creative clothing e-commerce website designs for your inspiration with an explanation of what or how each of them demonstrates the excellence of e-commerce design. By showing off their latest collection on the homepage, H&M focuses on presenting their featured collection to fashion lovers. Simple navigation on the top left side give an easy to navigate option while the other campaigns and menus sit nicely on the top and bottom right side of the webpage. This website is dedicated to men’s clothing collections from various brands. The brick effect with black color on the menu navigation, combined with green to brighten the layout. This website gives a fun and exciting feel when a man browses the site. Perfect for casual or energetic men looking for the clothes that fit them best. One of the t-shirt design e-commerce sites which has been designed by t-shirt designers. 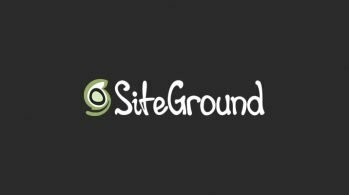 This site is very simple by using more white space and a dark theme on menu navigation. 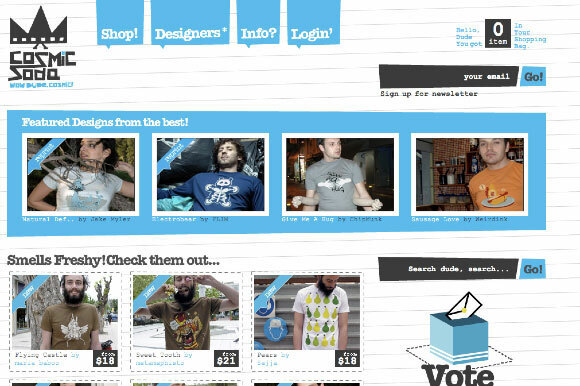 It focuses on presenting their latest t-shirt designs for customers to pick. It’s a combination of vintage and classic. Free People achieve the right feel for their clothes collection through the website. Dominated by some collages and scrapbooking techniques, their layout is very well designed. This site maintains an old looking layout. 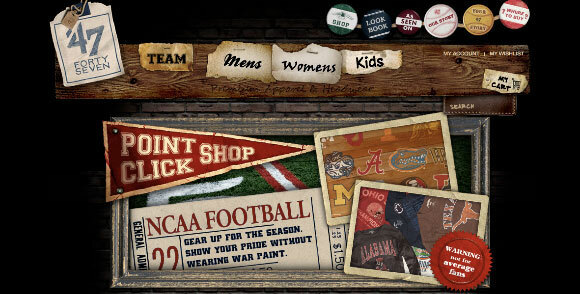 It may be look old but somehow the old look of their pages reflects that this website survived from 1991 until today, just like their apparel products. I really like this website layout. Their header is excellent. 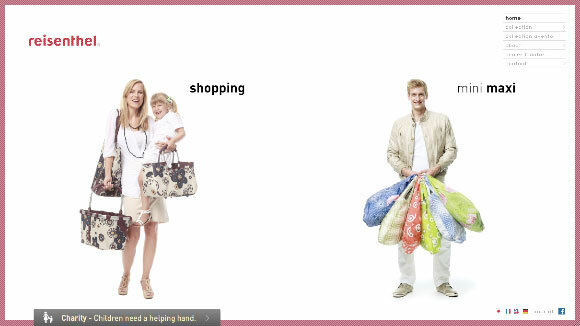 Take a look at their shopping cart and animated “my account” graphic. 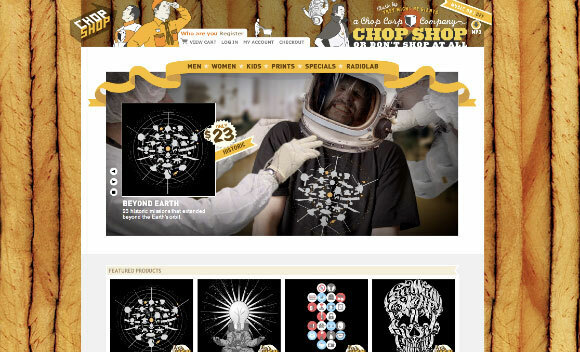 Not only that, the people at Chop Shop seem to take their t-shirt design very seriously. Check out the banners they put on the site. You will be amazed at how awesome each banner they created is for every single t-shirt design. Rugby website screams Royal Classic. 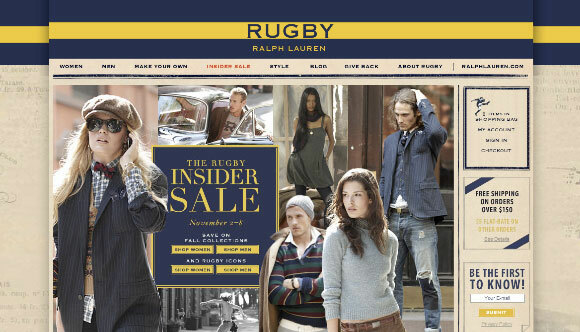 The harmony color of Rugby’s identity along with the graphic effect has created the unique feel of this website. 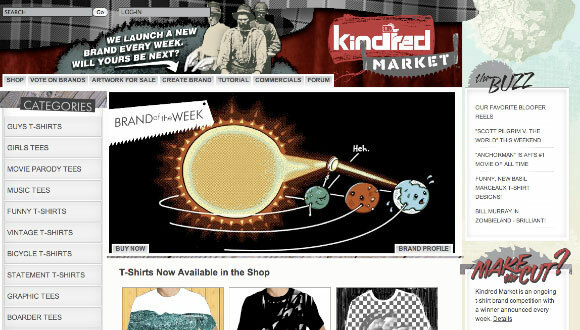 Another vintage look website from KindredMarket. The layout and graphics really goes along with their t-shirt collection. The layout is excellent. With the leather texture for the background, custom image of a guy for the Mens menu, and the wood texture on some other sections creates a warm feeling of a country clothing store. Simplicity is their goal on this website. Here, the layout is using more white space, giving a clear view of the two main products they offer, and when you navigate their products range, it shows them in a very cool and easy product navigation. 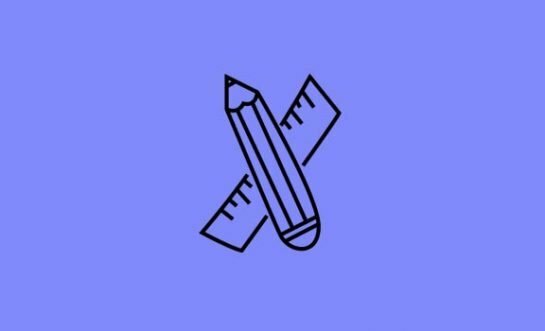 It’s simple, it’s bold, and it’s a doodle combined website design. Some of us just don’t get enough of lined paper and some doodle graphics. Martique products are made to be nature friendly. Therefore, the use of some warm earth color textures and the palm leaf on the site create a perfect feel to the product itself. What you need is what you see first. 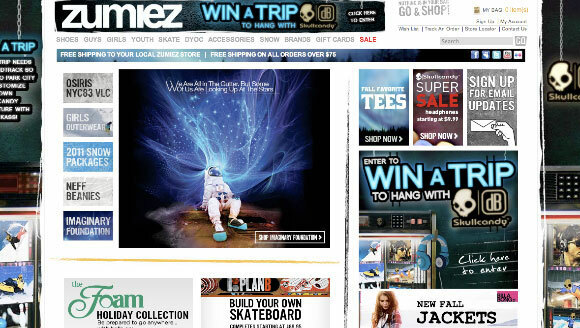 The layout on this site tries to lead you straight to the point, their product, the Teez. This one looks very simple. 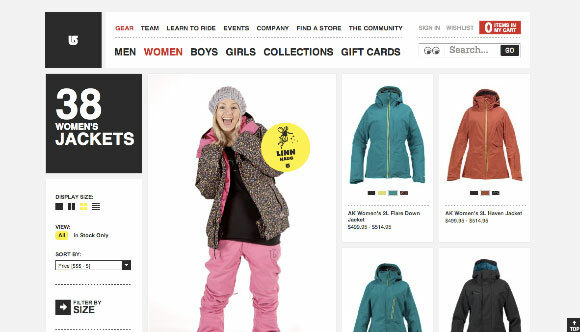 Using the best practice on the grid system, Burton website created a very well organized layout for a clothing company and adding a bit of creative touch on the search box and a bold red shopping cart box. 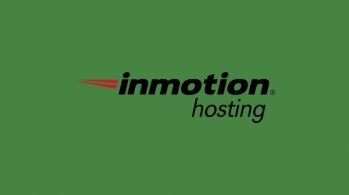 Although it’s a bit weird, this website actually has a unique layout compared to their competitors. With the same point, the main focus here is the t-shirt itself. 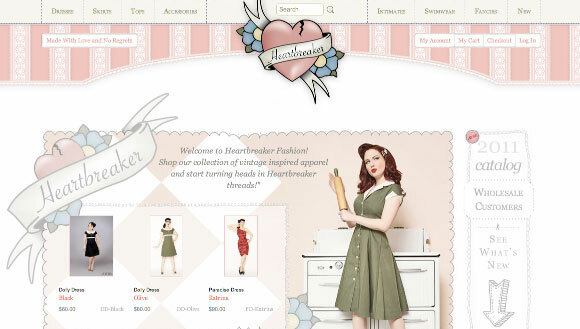 Another vintage and collage type of website layout. With each of the graphics a touch of sport is reflected, the overall layout seems to fit very well with the product they offer. This clothing website for kids looks minimalist yet quite playful. The stickies and tag menu navigation give a childish impression while the overall layout makes the website looked trustworthy as well. Yes, pop art is still alive. Even on website layout. 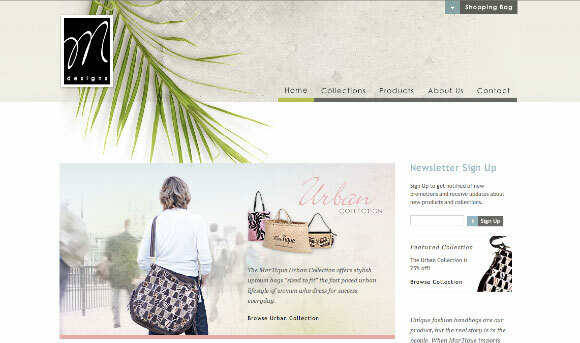 This one did a great job on the layout and creates a funky feel to their website. Another unique and fun layout for a t-shirt e-commerce website. 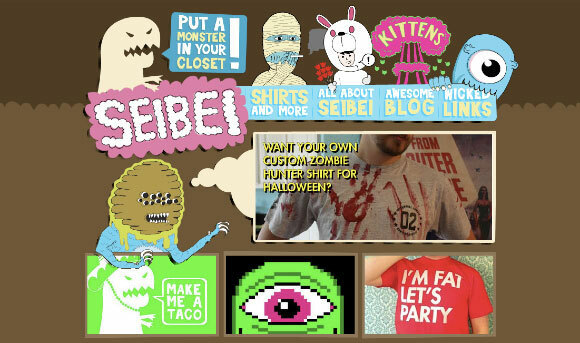 Seibei’s site uses fun monster illustrations all over their layout, matching most of their t-shirt themes. Dripping t-shirt for Dripping in Fat. Their way they are presenting the t-shirt couldn’t be more genius than this one. Buffalo’s website could be the only one clothing website that presents their products in a collage technique and yet keeps it very professional. The use of their gray floral background instead of old paper, and the color palette used for this site is beautiful and elegant. 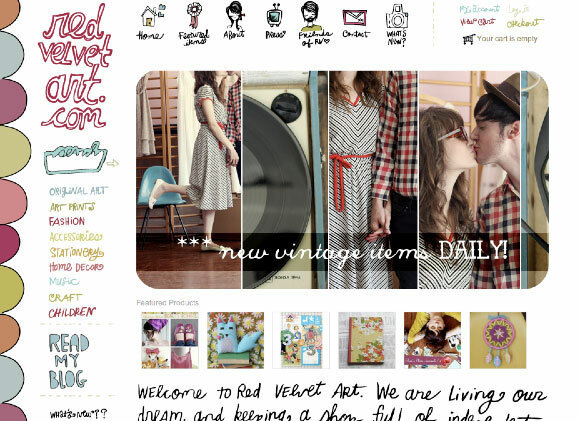 Colorful doodle and vintage is equal to pretty website layout. The colors on the layout help brighten and make the website look so cheerful. Giving a warm, welcoming feeling to explore their collection. Mexx layout is very much the same as H&M. 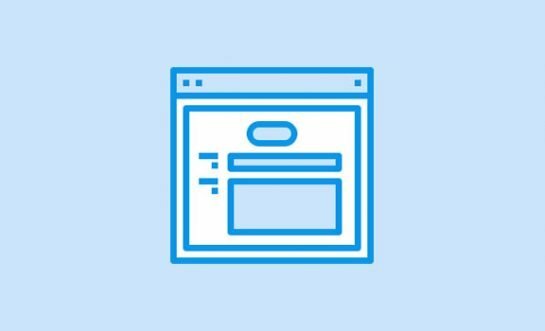 However, their website uses a thinner and bigger font for their main menu navigation which could help the user or customer to easily spot the menu right away. Overall the site is neat and simple. The use of texture and graphics supports the Von Dutch clothing concept very well. Adding the logo as website elements looks so beautiful in this site. With black as the main color and an illustration of shopping women is used to engage the user to browse around and shop from the site. It’s dark and simple. 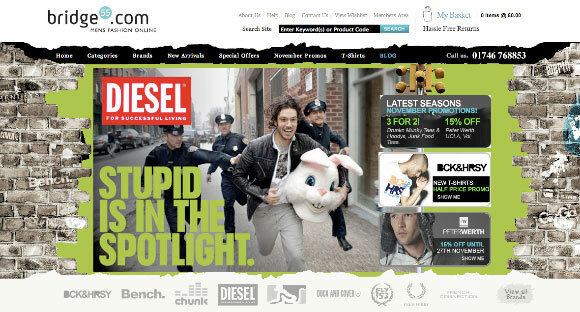 Dedicated to men, this clothing site presents their collection in a simple way. Targeting on the street culture community, this website gives the right concept with their website layout by using the white brick wall as the background and spray paint text effect. 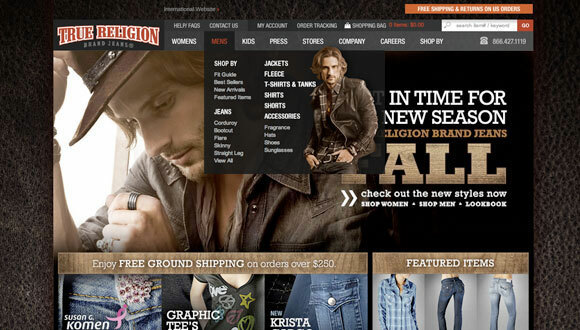 This site may look busier than other clothing e-commerce websites you have ever seen. But the concept is actually pretty good. The layout looks more like a colorful newspaper that presenting news of their latest products and offers. While the previous vintage layout design uses bright or dark colors, this one uses soft pink and white for the main color. Giving the user and customer a feminism feel to the site. Cute, that’s probably the first thing you’ll say when looking at this site. 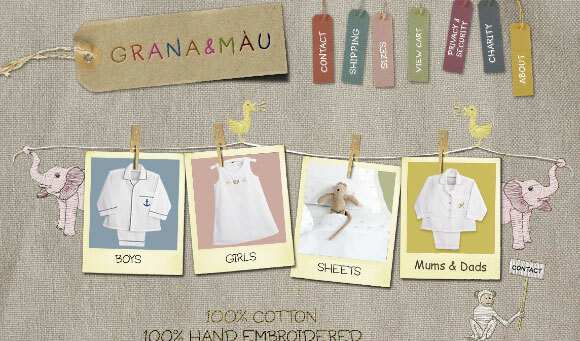 This baby clothes e-commerce site is very creative in using the texture and combining the graphics with tags, thread and polaroid pictures. 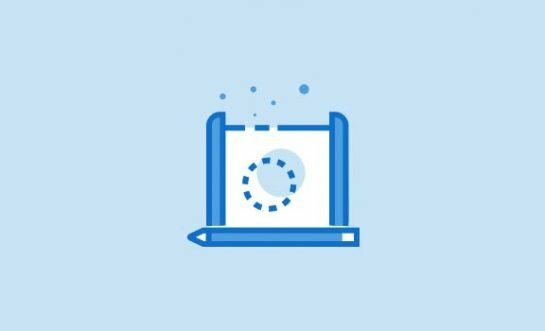 With some additional illustrations, this website gives their customer the right feel for landing on their site. What Would You Change on a Boring Clothing Ecommerce Website Design? 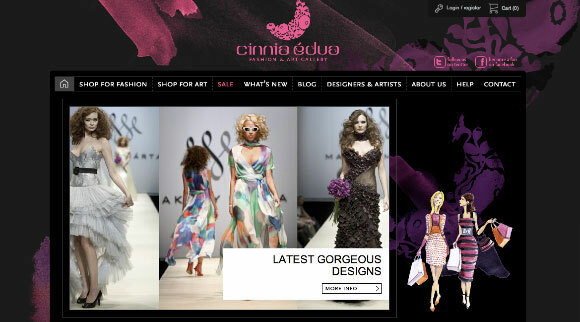 Now that you have seen a few creative clothing Ecommerce websites, tell us which is your favorite. 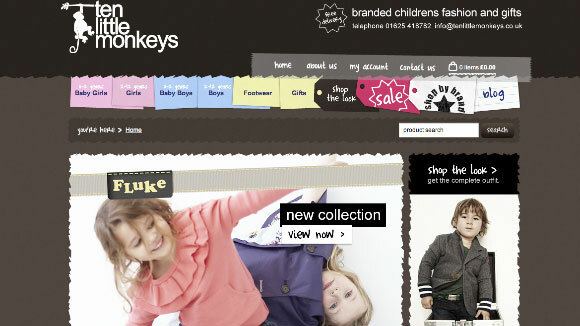 And if you were to create a clothing e-commerce website, what would you change in the layout to make it more attractive? Share your thoughts with us in the comments section below.